 Last week wrapped up the second K?kaha Apnea Competition on the Big Island of Hawaii. 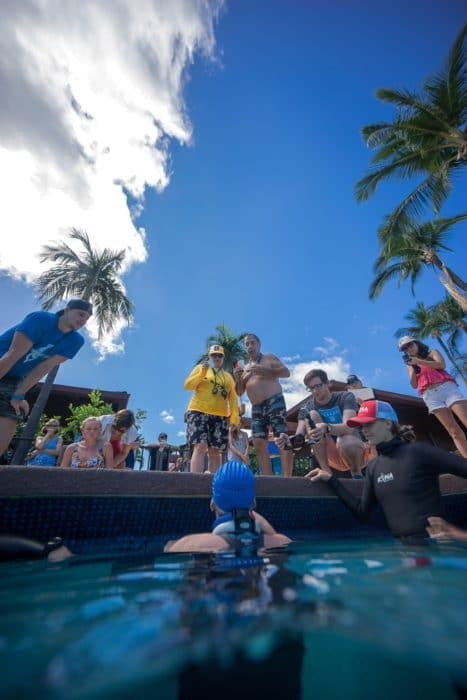 This competition, organized by Shell Eisenberg and Kona Freedivers, hosted 12 athletes competing in Static Apnea (STA), Dynamic Apnea (DYN), and Dynamic No Fins (DNF). With high-value prizes from OMER, Suunto, and Cressi the athletes were showing their best performances for the chance to win. By the second day, however, athletes refocused and showed very impressive DYN and DNF performances. 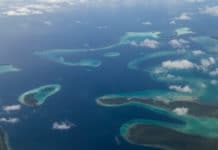 Kurt Chambers, multiple USA National Records holder and freediving instructor from the Big Island, wowed the viewers with a striking 192m DYN. First-time competitor Dylan Currier performed a personal best performance of 115m DYN. And Katie Pentz, from the Big Island, completed a beautiful 75m DNF while decked out in her tiger print one piece suit. 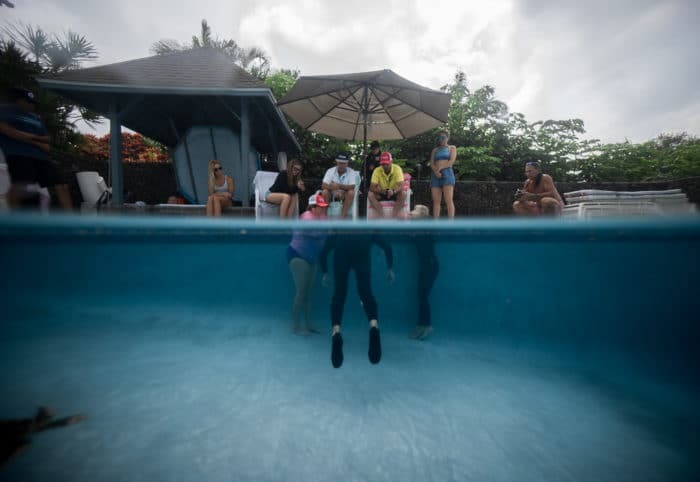 The Static Apnea event was held at Byron Kay’s, Owner of Kona Freedivers, home swimming pool in Kailua Kona. The first performance was a remarkable personal best breath hold by Brandon Hendrickson, surprising us all with a clean 7:24 STA. So close to the USA National Record I think Brandon surprised even himself! 2016 Team USA member Chris Funada did an excellent 5:09 STA. And first-time competitor Jen Brant got a white card from Carlos Mazo and John Hullverson for her successful 3:00 STA. 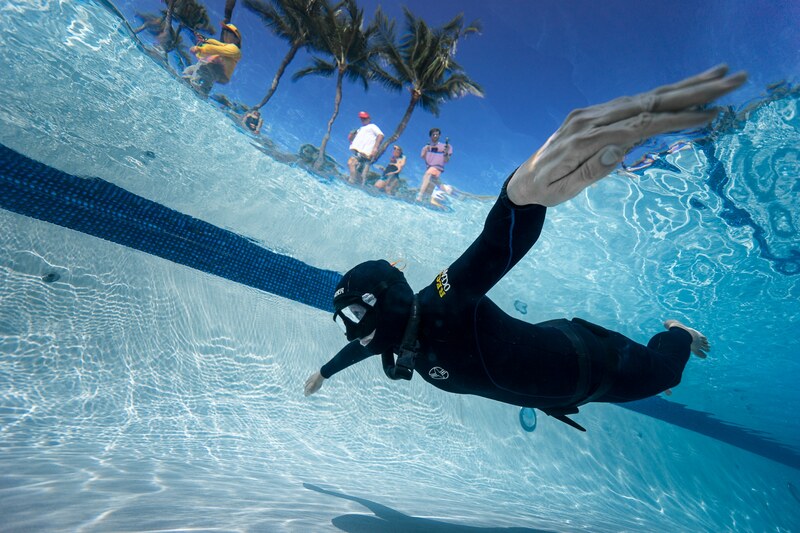 USA’s freediving legend Bill Graham performed a static of 6:38. He didn’t quite pull off the surface protocol but amazed the spectators nonetheless. 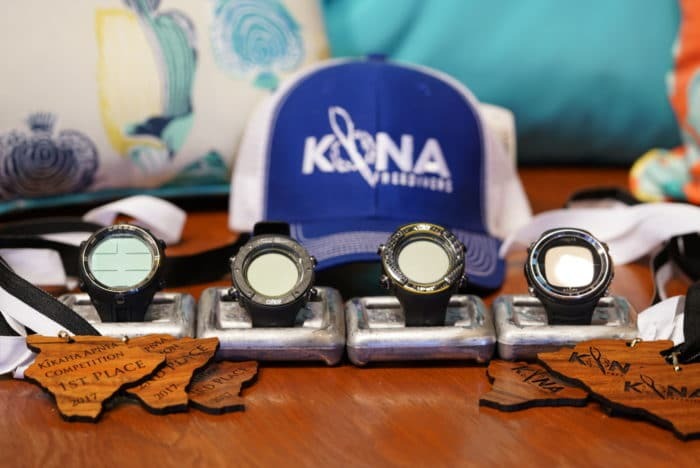 At closing ceremonies, ranking athletes received koa wood medals in the shape of Hawaii Island and picked prizes like the OMER UP-X1r, UP-X1, Cressi Drake and Suunto’s brand new D4f freediving computers.